HI! I am Marko, professional graphic designer with 7 years of experience, engaged in all kinds of visual esthetics since childhood. In my work you can see that I'm inspired by simplicity and symbolism with focus on ideas. My specialty is logo design, which represents the birth, visual and strategic foundation of every brand. Therefore, I am always looking to create best possible solutions that bring brands forward. 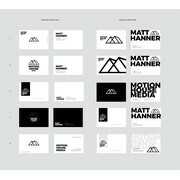 Feel free to contact me if you need any help with your business branding. "I am very happy about all designs by Marko !!! He has very good ideas and carried out the work to my fullest satisfaction. I am very happy with all solutions and look forward to further cooperation." "I am very happy with the work result. From the very beginning, Marco had a great design approach and also very good ideas in the implementation. his advice was also great.it is an extraordinarily beautiful coincidence, better a wonderful choice, that I ..."
"I'm once again supper happy with Marko's work. It's exactly what I was looking for!" "A great pleasure working with smiDESIGN, exceeded my expectations." "Marko was great. From the beginning he understood what I was trying to achieve and delivered in a creative way. He's definitely an expert at logo design"
"Very thoughtful and a pleasure to work with." "smiDESIGN did an excellent job with creating our logo. He came up with a very original idea that was different than all the other designers. I highly recommend him and will definitely be using him again!" "I'm very happy with the designs!" "Great work and I'm super satisfied as always!" "Working with smiDESIGN was once again great. His work is exactly what I was looking for and couldn't be happier!" "I'm once again highly satisfied!" "Although we had certain criteria we wanted to hit in our design brief, we were pretty open to a logo design. smiDESIGN met our expectations. We love the work. smiDESIGN was very receptive to our comments and always wrote back with additional comments ..."
"Very professional and easy to deal with. Very happy with the design and quality of work. Well done! Thank you!" "smiDESIGN does excellent work, is very responsive and very helpful." "smiDESIGN delivered a great work. The designer was the first to elaborate on the concept of the elephant and the initial letters linked. His design is elegant as well and matchs perfectly with our main principles and values. Well done Marko!" "Excellent designer. Files delivered quickly and projects according to what was requested. Recommended!"